Your organization is there to be a resource to your members, and your content should be informative. But humans are social by nature — we want to interact with your organization and with you. Instead of always pushing information, make engagement a key component of your social media strategy. Host a Facebook group. Ask questions. Incorporate interactive polls into your content strategy. If members are (politely) debating a topic on a post you shared, let that discussion inspire your next post. 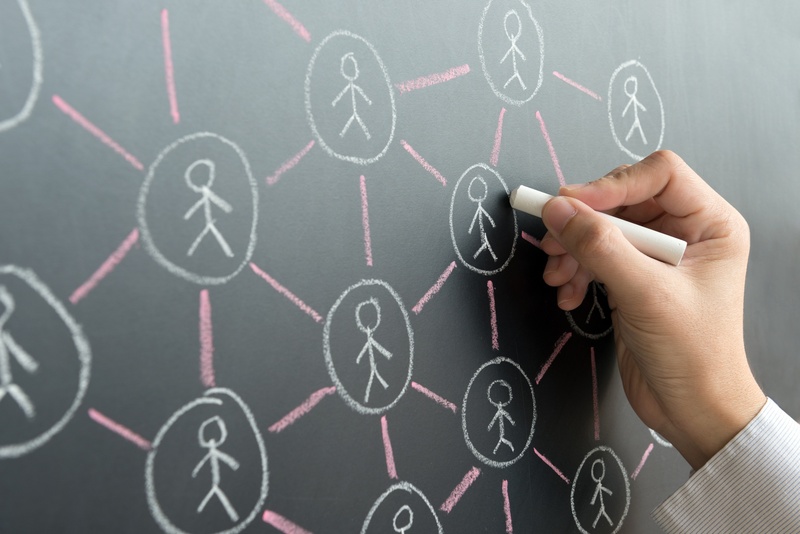 Turning members into social influencers is also a tactic to use, according to the Center for Association Leadership; I’ve seen social influencer campaigns work very well for coalitions and membership organizations. Letting highly engaged members “hold court” on your social media accounts — think Instagram takeovers or Facebook / Twitter chats — goes a long way in building a community and influential relationships. Don’t worry: you don’t need an influencer with a million followers. Instead, connect with the right members who are active online and who have become an authority in their own right. Once you’ve built that relationship, they can then become advocates for your association. Highly successful association leaders regularly solicit feedback from members, according to this Forbes magazine article. Digital media can be a critical tool in creating this feedback loop, and is an extremely effective way to stay top of mind with your current and prospective members. These don’t have to be formal surveys — though those are important, too. Instead, these mini-feedback sessions could be Twitter or Facebook polls, or a simple question in an email. They could be timed around an annual event or a membership drive. One organization I've worked with uses their annual meeting to spark member feedback, asking for panel and keynote speaker recommendations far in advance, and sending follow-up surveys in the days and weeks after the event is over. The result? Their membership feels like they're part of the process, and that the organization values their input. Taking the opportunity to regularly ask “What would YOU like to see/do/read/hear?” shows your membership that you’re interested in building a reciprocal relationship with them. Bonus: you’re giving them a chance to weigh in on programming. Both of these go a long way in building a loyal membership. Sixty-seven percent of respondents to a recent CMO Magazine survey said it’s important for organizations to automatically adjust content based on what they’re currently doing online. When associations send generic, mass emails, engagement and action rates suffer. Segmenting your database of members, leads, and prospects and customizing the content they’re receiving is a must. The busy professionals in your field want to feel like they’re receiving content that’s relevant to their unique needs and specific interests — and they will reward you for that. Personalized content gives the user a reason to browse your Facebook page, spend time on your website, sign up for your email list — and join your organization. Websites, emails and Facebook ads can all be tailored based on a user's browsing history, member profile and user persona. Creating and delivering personalized content in this way is effective in attracting attention, increasing engagement and retention rates and converting prospects to members. These are just three of the many creative and strategic ways your association can use digital marketing to bolster your membership recruitment activities. They aren’t designed to replace your offline programs; in-person touchpoints are important. Rather, they will help you leverage the very tools and technologies that could otherwise threaten your recruitment and retention efforts.